What can I say? I guess the cycling bug bit me already and now there is nothing we can do to stop it. Since I got the Giant Argento two years ago, I started to go on slightly longer rides. That bike felt (and still feels) great, it was a good choice back then but, at one point, I started to feel like if I'd need something more road oriented. The Argento is a really nice bike for moving around town and for some relaxing offroad rides (specially when we talk about mud/sand/dirt slippery paths) but as soon as you try to go on a road for more than 20-30 kms, and specially if you want to go a bit faster, it is not the best choice. And so my search for a new bike began. 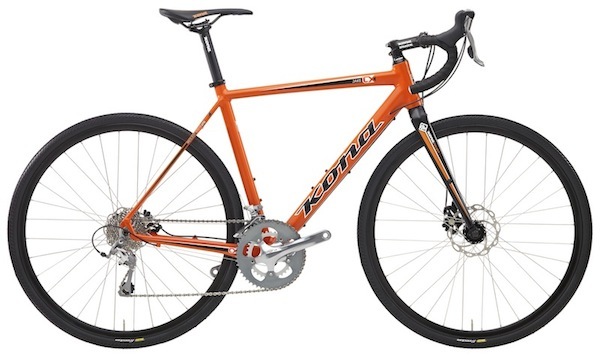 I remember it pretty well, what I wanted was a Kona Sutra 2014. 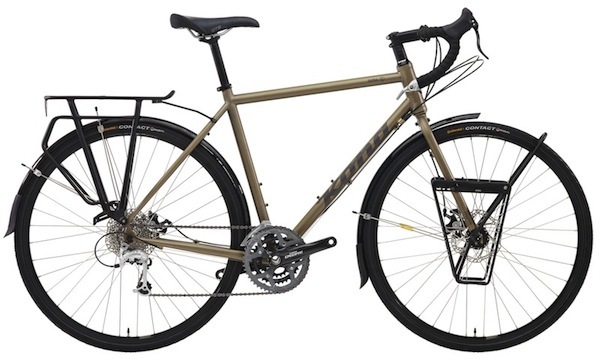 A lovely but strong touring bicycle I could use to go for long haul touring, on lots and lots of kms. Something sturdy I could pack with tons of things I'd need on big adventures out there. A touring bike seemed also a good choice for towing Lara's trailer when going on family rides (wider gears range FTW). 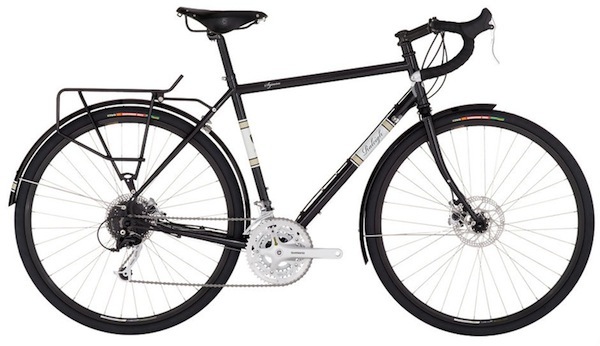 Soon after, I added a couple of more choices to the list, the Raleigh Sojourn 2014 and the Trek 520 2014. 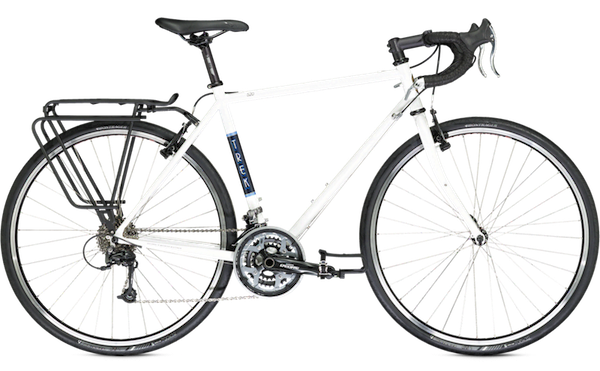 I spent a lot of time reading about touring bikes, specs, recommendations... and a lot more time comparing models, specs, looking into oppinions from other cyclists all over the internet. I talked a lot about it with some friends, specially with betabug, George and Xurxo (no, those two are not the same person :-P). I heard their recommendations and suggestions carefully, trying to learn as much as I could from their knowledge and previous experience (George already recommended me to go for the Argento one year before all this, and it was a good recommendation). One day I discovered that "has to be a touring bike" was not a requirement anymore. There were some other things to take in account when chosing a road bike. I also started to look regularly for offers and special prices on new bikes. This was exactly one year ago, some of the big brands were publishing information about the new models they were going to have for 2015, which meant some models from 2014 were offered online at really nice prices. I guess it was near the middle of august when I have more or less decided which bike I was going to buy. 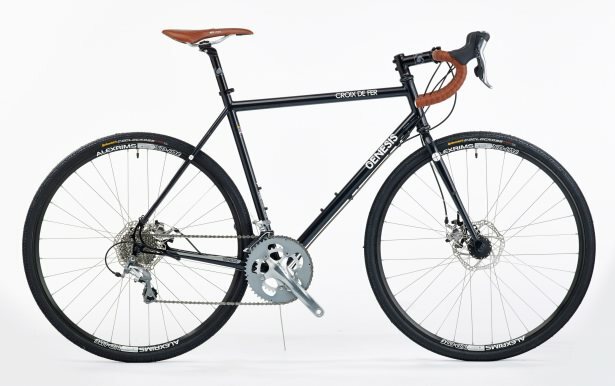 I was a bit influenced by both betabug's previous good experience with Kona bikes and all the good/positive reviews their bikes have on the Internet, and their Jake cyclocross bike (which is the one betabug has too) looked like a very nice bike. Cyclocross bikes catched my eye as an option because their geometry looks closer to a racing road bike (which sounded cool for riding faster) but they have some details like slightly higher bottom brackets and more wheel clearance on the forks or holes on the frame where you can attach front/back racks, which make them suitable for touring, going on offroad excursions, etc. 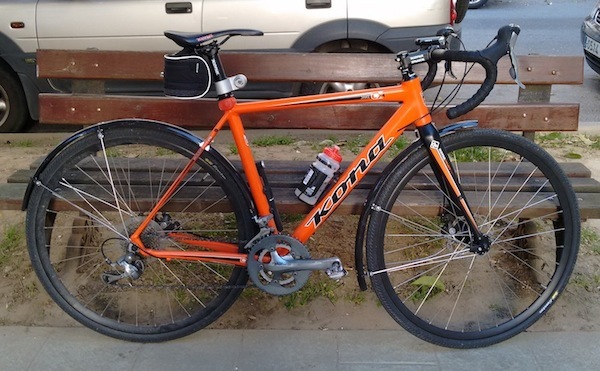 They seem like a good "do it all" alternative, but still keeping a road spirit (specially when talking about gears), so in the end I decided that I was going to get either the Kona Jake 2014 or the Genesis Croix de Fer 2014, whichever I could find a good price first. Finally I ordered the bike online from Bikester (which service is really good, I'll write about that on a separate post) and I got it delivered in the beginning of september (2014, near one year ago). I remember the feelings back then, it was like being a little kid again and getting a christmas present, sooo excited!. Almost one year later, I've ridden the bike a bit (strava says 1,254.9 kms, but I'd say 150-200 kms more. ), I've added addons to it (lights, SPD pedals, fenders, some bags) and definetely I've enjoyed it a lot. I'm really happy I got this bike! I'm not going to write here about specs or technical details (you can get that from Kona's website, here: http://2014.konaworld.com/jake.cfm ). What I can tell you is that the bike is really nice to ride, even when going uphill you don't have to be a trained cyclist to keep going on. It is sturdy indeed (not a single problem in the past 12 months) and it is good enough when pulling Lara too.